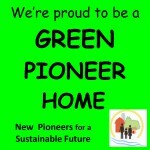 What is a Green Pioneer Home? A Green Pioneer Home is one whose residents commit to at least 8 of 17 sustainable practices (learn more!). You might be surprised to discover how many you are already doing! 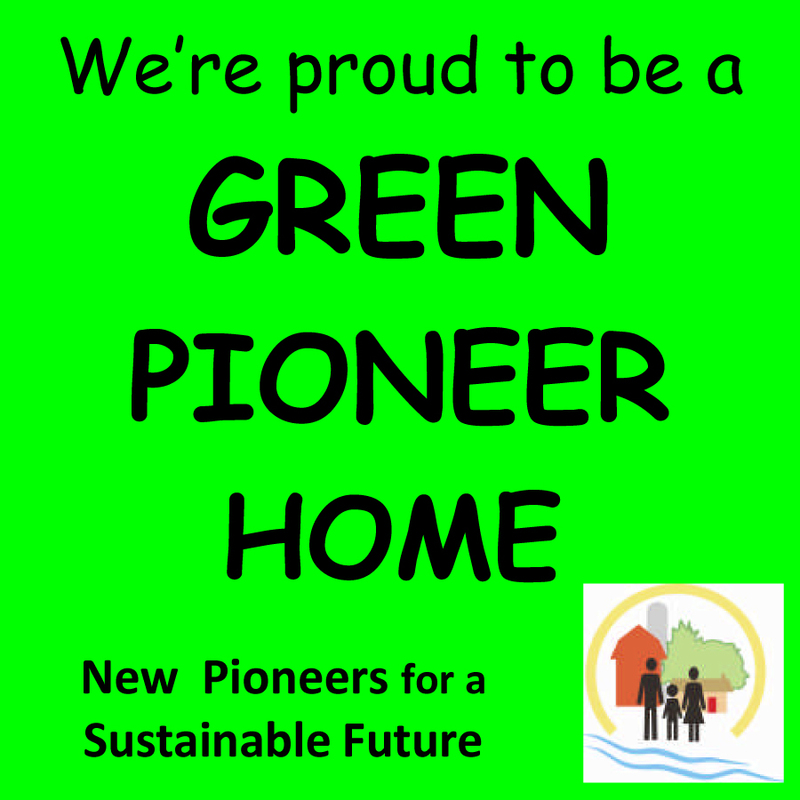 Those homes can proudly display the “Green Pioneer Home” decal, showing the commitment of the residents and providing opportunities to discuss the commitment with those who see the decal. Anyone interested in promoting sustainable living is welcome to join us! Anywhere on the planet! Coordinated by a Dominican Sister of Peace, the campaign began in Springfield, KY, as an initiative of New Pioneers for a Sustainable Future. This program, initially to promote the “greening” of Washington County, has now spread beyond Kentucky borders. To make real our commitment to live more simply, to respect creation, and to learn more about the universe. In making this one small effort we join in solidarity with people throughout the world who want to make a difference and change the world where we live. Just imagine if thousands of households were to display a bright green decal showing participation in this effort. A colorful impact and conscious awareness would spread from East to West, and North to South!